With age comes wisdom! But wisdom does not come alone, it carries some wrinkles and lines. (pun intended) Don’t worry, here are the best anti aging foods because you are what you eat. Puzzled!? Here is how it works! You think you are made up of bones, blood and mass? If yes, you have to realize that every single cell in your body is made up of the food that you eat. To, be more precise, we build ourselves through the food that we eat and the food is the building material for this body. If we feed this body with crap, it sure looks like a crap! You feed your cells with something nice and healthy, you look lively and vigorous. So, doesn’t it sound profound and thoughtful to choose our foods wisely to look young and charismatic? Can Foods Alone Help You Look Young? In order to look young and beautiful, you have to retain your skin’s elasticity and collagen. Because these two factors decrease with your age. But, is it really possible to retain them by changing your food habits? It is a myth to believe that only foods can help you gain a youthful and lively skin. 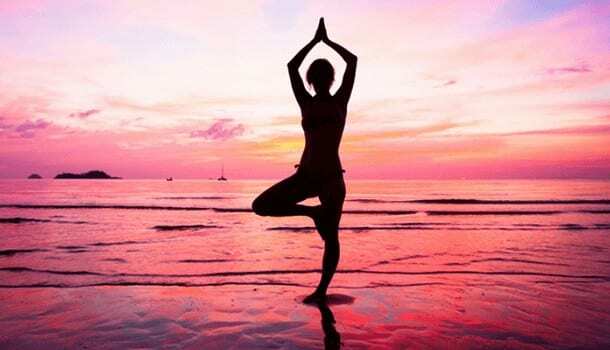 You should also practice a physical activity like Yoga (as it is much appropriate for anti-aging) and follow some beauty hacks to prevent your skin from losing its elasticity and achieve a juvenile outlook. Here is a perfect guideline for the foods that you have to choose, some yoga postures to add a spark to your life and some interesting natural anti aging tips to put a full stop to the never-ending doubt of how to stop aging! The only secret to achieving a beautiful skin is to opt for those foods that can repair your damaged skin cells and protect your skin’s elasticity and collagen. So, let’s categorize all the anti aging foods into some basic foods, anti aging fruits and nuts & seeds. Do you drink the required amount of water per day? Because drinking at least two litres of water per day can help in detoxifying your skin of all the dead and damaged cells and help in providing a proper nourishment to your skin by keeping it hydrated. Though regular water can help in purifying your skin, you can use alkaline water for much better results because alkaline water contains bicarbonates, magnesium and sodium because of which the acids in your body can get neutralized, thereby helping you in obtaining a clear skin. There is no such hard and fast rule that you only have to drink alkaline water for anti aging. 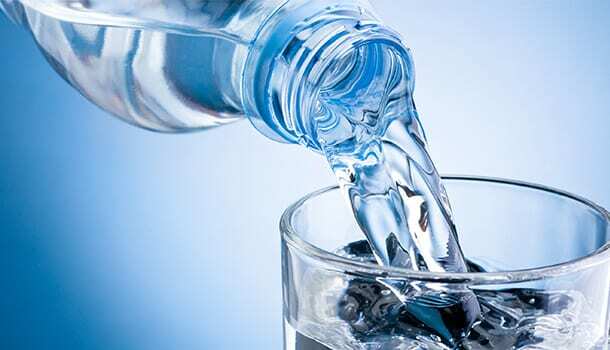 You can drink mineralized and purified water, several times in a day to acquire soft, glowing and lively skin. If you have ever wished to protect your skin’s texture to look young and energetic, the best anti aging home remedies that you can follow is relishing coconut water twice or thrice in a week because coconut water contains cytokines which promote the cell division and helps in a healthy maintenance of the skin. Coconut water is the best and most natural substitute of water. In fact, it is much more medicinal because it contains good amounts of magnesium, sodium, potassium, calcium, fibres and several other nutrients. Consuming a cup of Greek yogurt on a daily basis helps in preventing the fine lines and wrinkles on your skin. 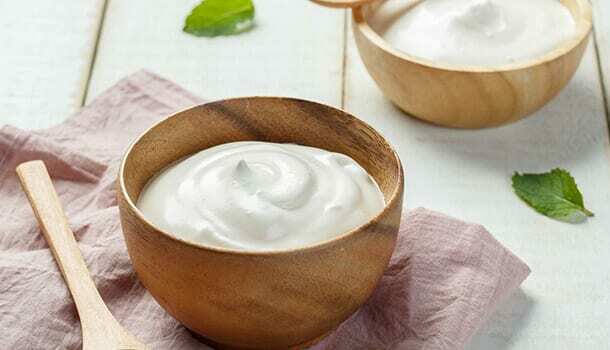 Yogurt is one of the best anti aging foods for younger looking skin because yoghurt is not only believed to reduce the wrinkles when consumed through your diet, but it can also be used as one of the ingredients of the face packs that can be prepared to look much younger and smart. Have you as a child ignored spinach? If yes, you will have to regret for the rest of your life, because this leafy green contains a skin-friendly compound called lutein that helps in retaining the skin’s elasticity and prevents the formation of wrinkles. 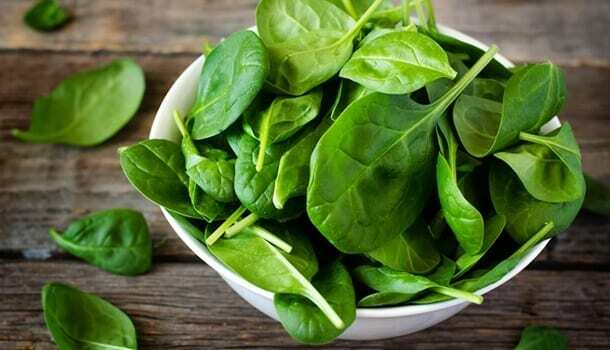 If you have grown old enough to understand the importance of spinach but still hate it, you can make some interesting recipes out of spinach like spinach and artichoke dip, spinach and ricotta or a spinach lasagna. Tomatoes are so simple and healthy, they can be sliced and diced into any dish. You cannot really go a day or two without eating tomatoes because they are everywhere. Right from your pizza to your ketchup, you come across this super healthy fruit without having to necessarily include it. One best benefit of tomatoes is that it contains lycopene which is a type of carotenoid that helps in protecting the elasticity of your skin and also prevent wrinkling of your skin because it fights the free radicals. Legumes and beans are not only known for containing a high number of proteins, but they also contain phytochemicals that help in eliminating all the toxic substances from the body. Your skin can only look fresh and lively when it is devoid of all the toxins. Also, legumes do not contain fat and they contain zero cholesterol which is why they are considered the best protein-rich foods for losing weight and looking young. You can include a fresh plate of legumes three to four times in a week as one of the best foods for anti aging. What is the first thing that strikes your mind as soon as you think about the nutritional benefits of fish? Well, I get reminded of omega-3 fatty acids because this is one of the most significant nutritional benefits of fish. Did you know that there are several anti aging creams that are being manufactured with omega-3 fatty acid as one of the major ingredients in it? But, the best and natural source of consuming omega -3 fatty acids is to consume fish on a regular basis because this is the best way of bringing radiance to your skin and eliminating the wrinkles. Salmons, Tuna, mackerels, sardines, and lake trout are the best kind of the fish rich in omega -3 fatty acids that can be included in your diet as these are the best anti-aging foods for younger looking skin. Dark chocolate can reverse your age! This what they say. But, doesn’t this statement appear like an exaggeration? Reversing of your age is not possible if you eat dark chocolate, and it is not possible by any other means but eating dark chocolate surely does help in protecting your skin from the damage caused due to the sun. Dark chocolate also contains antioxidant properties that help in fighting against the free radicals present in your skin which are the major cause of your skin damage. If you are a chocolate lover, you can utilize this interest for an anti aging purpose by changing your taste preference from regular chocolate to a dark chocolate. Fruits are one of the best anti aging foods because you can use fruits to prepare various face masks or relish them juicy and tangy to obtain a clear and glowing skin. But, you have to be choosy about the fruits that you consume for anti aging because no all fruits are beneficial for anti aging. The best property of all the citrus fruits is that they are enriched with antioxidant(1) properties and they help in increasing the collagen content because they are rich in vitamin C, which is why you can maintain the naturalness and freshness of your skin if you consume citrus fruits on a daily basis. Kiwis, oranges, lemons, grape fruits and guavas are some of the best vitamin c rich fruits, which you can consume twice in a week for obtaining a youthful and lively skin. One prominent reason why berries can be included in the list of anti aging foods is that, they are rich in antioxidants which help in enhancing your cell functioning. Your skin can look fresh and juvenile only if your cells are vital and healthy and the simplest way to make this possible is by including berries in your diet. If you have heard of keratin, you will be well aware that keratin helps in rejuvenating your skin cells and protects your skin from inflammation and damage. The cells of the epidermis which are responsible for producing keratin are keratinocytes(2). Pomegranates help in increasing the productivity of keratinocytes which boosts the keratin content in your body. 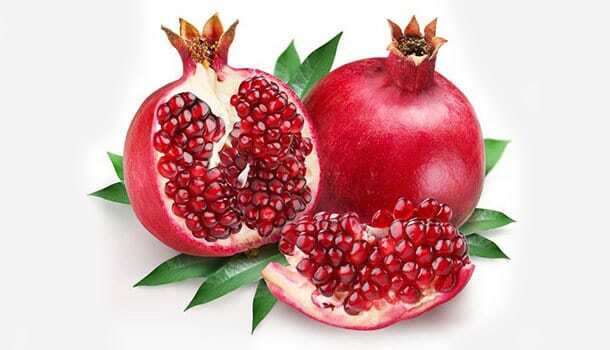 Pomegranates are the best anti aging foods because, apart from consuming these fruits, you can also make use of pomegranate seed oil to retain the glamour of your skin. Wrinkles on your skin are mainly caused due to the reduction of collagen(3) and the best way to protect your skin from this loss is to eat lots and lots of figs because they are enriched with both the proteins gelatin and collagen which prevent the wrinkle formation. Apart from helping in the maintenance of a healthy skin, figs help in relieving you from constipation because they are rich in fibres. Pineapples are one of the best fruits that boosts the production of collagen and apart from this, pineapple contains a special enzyme called bromelain that helps in reducing the inflammation and swelling of the skin. One reason why pineapples are one of the best anti aging fruits is that these are the only tropical fruits that contain the enzyme called bromelain. Papayas are considered the women friendly fruits because, you don’t get your periods, you are suggested to eat papaya! You suffer from skin problems; you can put on a papaya face mask! Apart from numerous health benefits of papaya, these are also known to prevent wrinkles and reduce the lines because papayas are enriched with carotenoids which are a type of antioxidants that help in fighting the free radicals and prevent the skin damage. Some nuts and seeds are so familiar and skin friendly, they are named as anti aging superfoods, but do I really need to mention about including nuts and seeds in your daily diet, because you can crunch and chew them anytime in a day, even when you are bored out of your mind. Some ancient practices have a lot to teach! But, how rare and special does it feel to know that this practice has now become a trend? Yoga is one such ancient practice which has its roots in India has now spread its branches all over the world. But, why is this practice given such great importance? The power of Yoga is such, it can enhance the overall wellbeing of a person! Whether you talk about improvising your mind, body or spirit, Yoga does it all. Practising twelve rounds of sun salutation each day can help bring a supernatural glow to your skin because, with each posture, you regulate the blood circulation throughout your body. If you are a beginner, you can start by practicing six rounds of Surya Namaskara or sun salutations per day. If you ask me to suggest one excellent breathing exercise that can serve a multi-purpose, I would definitely say Kapalabhati because it helps in regulating blood circulation throughout your face. You will be able to feel this as you continue performing the exercise for at least 5 minutes. If you make a perfect plan of including the above-mentioned foods in your diet, make some time for yourself to practice Yoga and afford to apply these face packs twice in a week, you have definitely come to know the secret to look young and beautiful. Mix one tablespoon of turmeric with two tablespoons of yoghurt, one teaspoon rose water and one to two teaspoons of a fresh lemon. Mix these ingredients well and apply a thick layer over your skin. Let this remain on your face for one hour after which you can rinse your face with water. Extract the papaya pulp from the fruit and mix one teaspoon of honey into this. Add one teaspoon of lemon into this and mix them well. You can apply a thick mask over your face and leave it for one hour. Let the face pack dry and rinse it with lukewarm water. The secret to looking young and evergreen depends on how determined you are towards increasing the quantity of anti aging foods in your diet, practising Yoga and affording some time to follow some natural anti aging tips. You just have to build a commitment with your consistency.